5 of the 18 holes of Arrowhead Country Club golf course run through our HOA affording golf course views to about 170 of our homes. 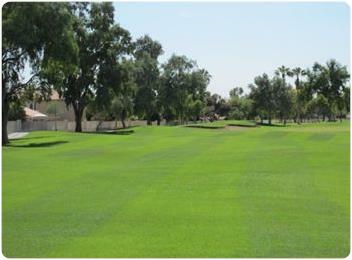 Arrowhead Country Club is privately owned and not associated with our HOA except to the extent that our CC&R's make homeowners responsible for the maintenance of the exterior side of walls and fences abutting the golf course and our Architectural Guidelines apply additional standards to golf course lots. See the Architectural Guidelines for permitted paint colors for walls and fences abutting the golf course.